As a child, I stuttered severely and lived my young life often in silence, listening rather than speaking. My interactions with the outside world were often limited, by a mother fearing the cruelty of others. 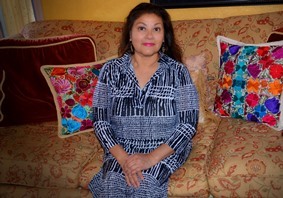 Her introduction to me of music, poetry and storytelling included driving through neighborhoods where houses resembled castles in a city called, Alamo Heights in San Antonio, Texas. My mother created a world through guided imagery, an influence that would mold my critical thinking and impact memory to visual art and storytelling. I feel it is important for me to utilize my skills and talents in creating film and stories to explore and create a world of safety for the storyteller, giving them every opportunity to remember their commitment to those who can no longer speak on their own behalf. The journey created by my films and writings is my commitment to social consciousness and my representation of my love for sharing the stories of ordinary people doing extra-ordinary deeds. I am interested in memory in relationship to historical events that impact and change lives and a community for the better. I believe that personal stories and reflections can help bring into question stereotypical portrayals that sometimes dominate our myths about each other and by merely hearing something familiar, can reminds us that we are not so very different. That film and storytelling can help us create a public record of little known and neglected histories for future generations to come. 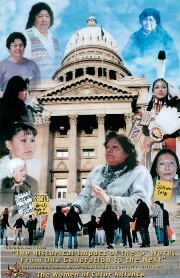 My first film, The Historical Impact of the “S” Word, was on the removal of the term “squaw” from Idaho land places. I traveled to and stayed on four Tribal Reservations throughout Idaho; interviewing Native sisters, who experienced firsthand that term. Though, a novice with my first film, I learned to use natural light and my surroundings to the benefit of the story, capturing the resilience of the human spirit. I enjoyed teaching the women how to use the camera; often many of my participants became my assistants on the shoots. I rely on oral histories, community leaders, and Latino and Native American storytellers, combining the old ways with new generational thinking. 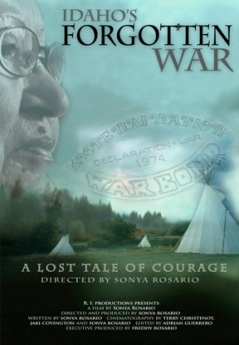 Idaho’s Forgotten War gave me the opportunity to build a personal relationship with Amy Trice, Kootenai Tribal elders, historians and storytellers as consultants, and utilizing Nez Perce Elder, Horace Axtell’s ‘GOD’ like voice to interject the enormity of “the power of one.” Each film, I create is a mystical and empowering sensation; that I am chosen to hear the most private and personal reflections is tantalizing. 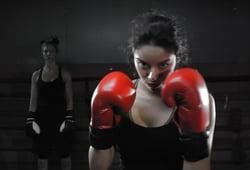 Film can and does inspire people to move into action, empowering themselves with information and challenging negative beliefs about others and maybe about themselves.